How can people with disabilities benefit from occupational therapy? We have previously talked about physical therapy and how it has the opportunity to enrich an individual’s life. But what about occupational therapy? Occupational therapy (OT) is a client-centred health profession, which promotes health and well-being through the use of occupation. By working with people and communities, and modifying their environment, therapists enhance their ability to participate and engage in activities of everyday life (source). OT is a part of the overall treatment program that people with disabilities are using. The overall goal is to promote the individual’s ability to perform daily activities in a way that enhances their quality of life, and makes it possible to enjoy independent living. The program should enable the participants to foster independence, productivity and self-care, both at home, at work, in school, and out in public. Therapists focus on improving strength and coordination while performing different tasks, but also on assisting decision-making, problem-solving, memory, abstract reasoning, and perception to name a few. 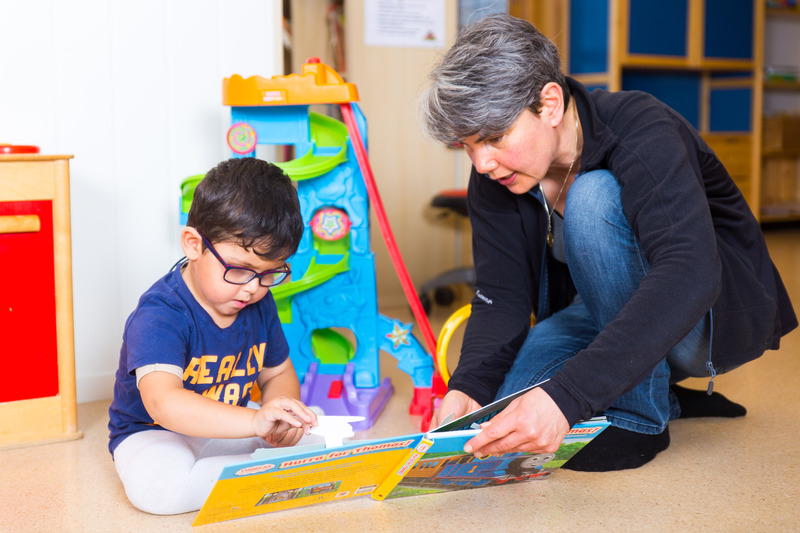 Easily put, what an individual learns in OT will be put into practice in their daily ritual – from getting up in the morning and preparing to leave for school or work, to brushing their teeth before going to bed. In addition, therapists will often make use of assistive technology in order to increase the individual’s functional capabilities. The technology is chosen according to daily activities and the environment the person participate in, and is adapted as changes occur. In other words, there is a strong sense of practicality with each individual’s needs in mind. The therapy is accomplished through focusing on developing a sense of place in the individual’s environment. It’s important to identify adaptive methods a person can learn to complete tasks, and break down essential tasks into smaller steps. This makes for a motivational approach where it’s easy to see progress. Occupational therapy is beneficial for individuals with any kind of disability, regardless of age. That being said, as the goal is to enable participation and engagement, the therapy will of course need to be adapted as the needs of each individual changes with age. There is no “one size fits all”. It is important to begin occupational therapy at an early stage as it teaches the individual how to both develop and maintain a daily routine. As individuals grow up, they want to be able to handle everyday tasks to the very best of their abilities with as little assistance possible. Moreover, as with any human being, there is a wish and need to participate in social activities as well. OT can help individuals in obtaining a higher level of activity and social participation, which can improve quality of life and overall well-being. The assessment enables therapists to individualize solutions, thus creating a better fit for the client. As it can be quite thorough and wide in nature, the individual’s companion (such as the spouse or parent) might not understand the relevancy of all the questions asked, but they are essential to the therapist who is looking to obtain an overall picture, and create workable solutions. Many people with a disability, for example cerebral palsy, experience visual impairment. Though each individual’s impairment vary in severity, an OT can help improve each person’s vision by carrying out sensory-perceptual-motor (SPM) training. Easily put, SPM helps stimulate the senses so the individual can more easily perform daily tasks (source). OT is also beneficial for individuals who have cognitive impairment. By setting up daily routines with reminders, therapists make it more attainable to accomplish daily chores such as brushing teeth and remembering to dress. In addition, OT can help individuals with motor impairment by assessing needs and providing activities and services. Activities will vary with needs, but the overall goal of making daily tasks easier to perform remains the same. There is little doubt that occupational therapy can help people with disabilities increase participation in activities. With the right assessment and adaptations, therapists can help people with disabilities achieve a more engaging lifestyle with fewer limitations.